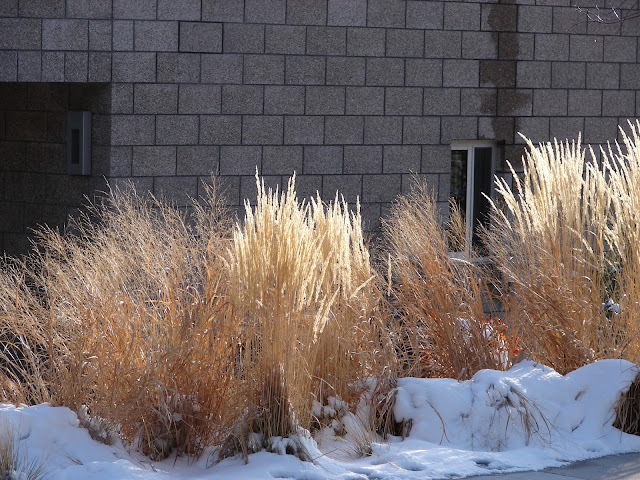 Karl Foerster Grass - Calamagrostis acutiflora - is a favorite ornamental grass in Utah. Late summer and fall are the seasons when it really puts on a show. It has a very upright structure, adding height and a vertical shape to the landscape. The wheat-like flower stalks move and bend in the breeze, adding motion to the fall garden. 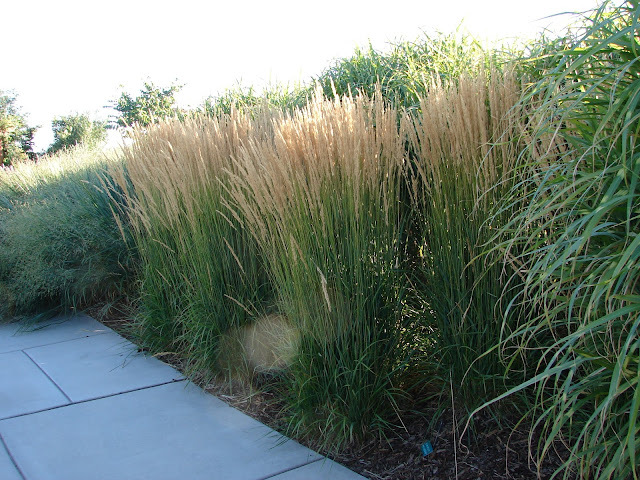 Like many ornamental grasses, Karl Foerster grass is large and can be grown in place of shrubs for height and screening. Low to moderate in it's water needs, it is a perfect addition to a waterwise garden. 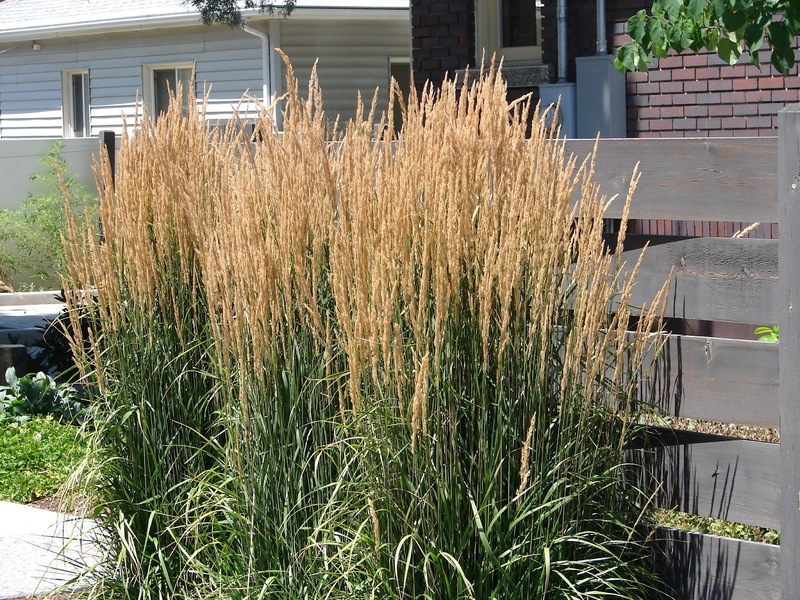 Plant it in combination with other ornamental grasses or with flowering perennials and ground covers. It is not fussy about soil conditions and the only maintenance it needs it to be cut to the ground every February. Karl Foerster Grass - Over Five Feet Tall! 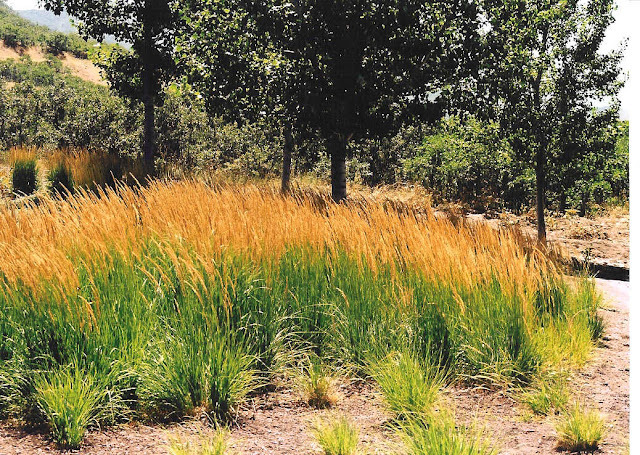 Karl Foerster Grass - Loves Utah Heat and Sun!